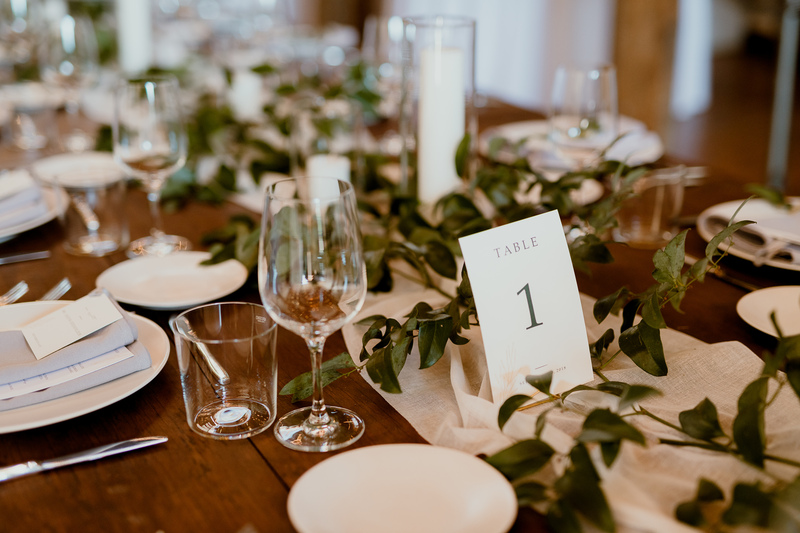 You’ve nailed down your theme, color scheme, and day-of style — now it’s time to start sourcing your vendors. 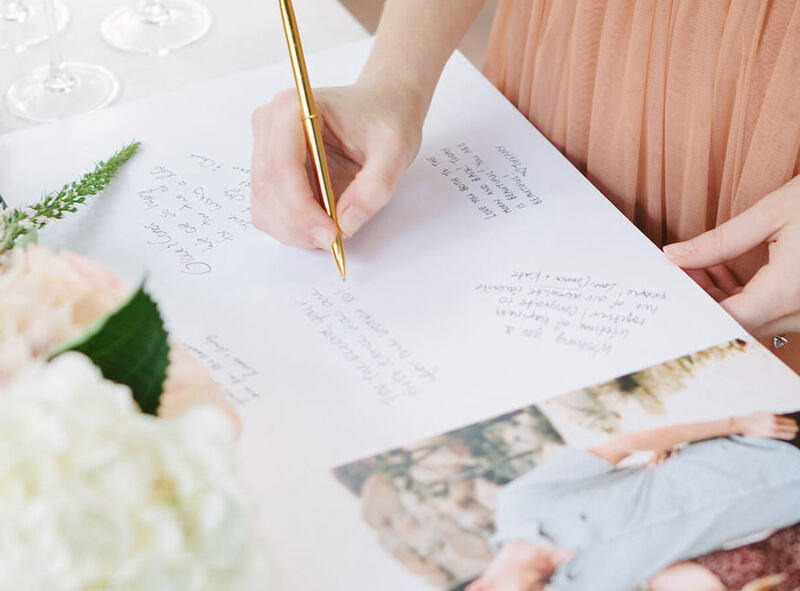 When it comes to wedding planning, there’s such a wide variety of paper goods needed — from invitations, to day-of signage, a guest book, and more. Working with a number of different print companies can be tiresome (especially on top of everything else you’re planning!). 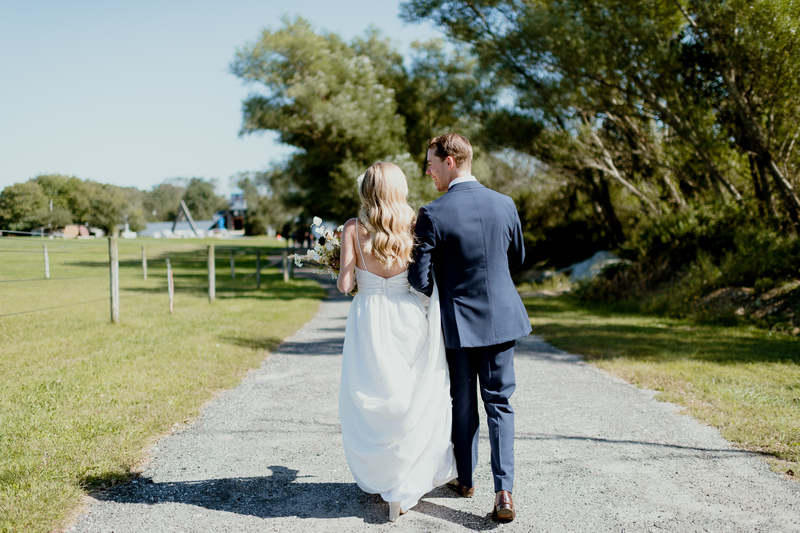 Here, real bride Calli Swofford shares a glimpse into her wedding day and how she incorporated Artifact Uprising printed goods each step of the way. 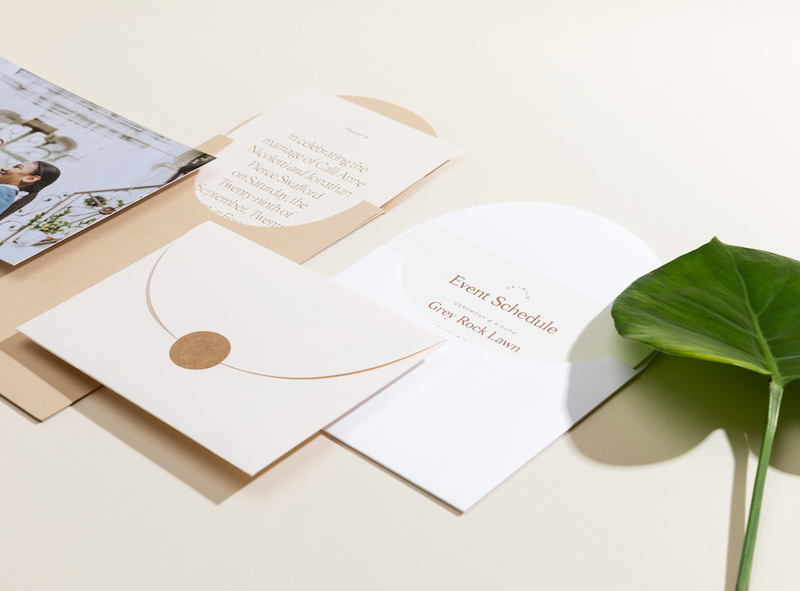 When it came to choosing our wedding invitations, my husband Pierce and I were immediately drawn to the Colorblock Wedding Invitation because of the ability to customize the two-toned colors. 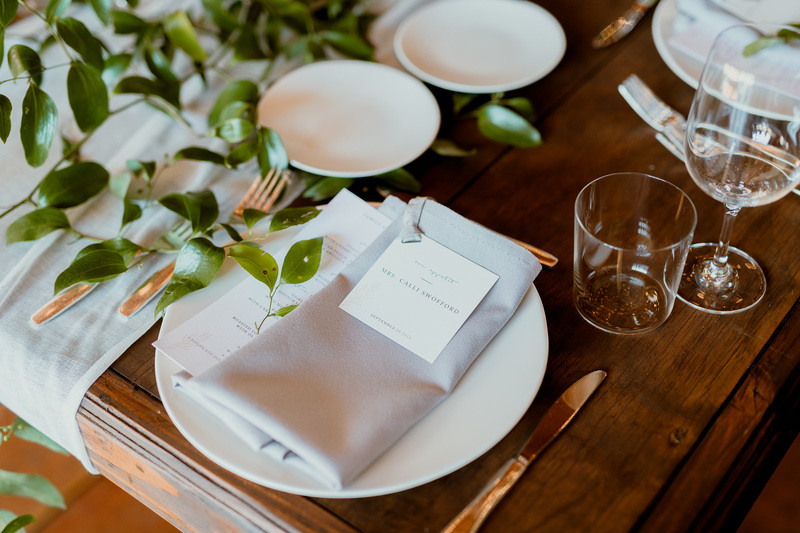 Our wedding palette included cream, navy blue, forest green, and brass, and we wanted things to feel as cohesive as possible from beginning to end. We tried the combination of cream and forest green with a gold-like text color and loved how it looked altogether. To keep things consistent, we chose the Colorblock Thank You Cards using the same colors. 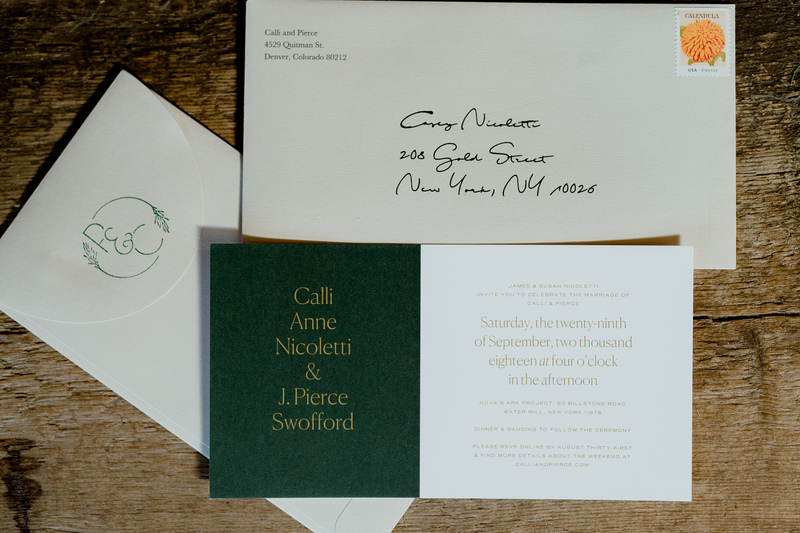 We customized the text to say “Calli & Pierce,” so it doubles as stationery that we still use well after the wedding. 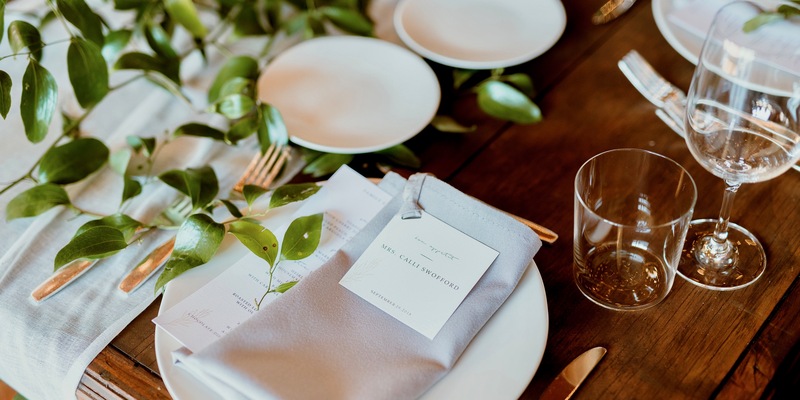 Artifact Uprising has also added a great Wedding Invitations Best Practices guide to their blog, which has great tips for wedding invitation wording if you’re looking for any helpful hints. Leading up to the wedding, we realized there were a number smaller signs we wanted to help guide our guests throughout the day. We used Artifact Uprising’s Everyday Prints for all sorts of displays throughout the venue. 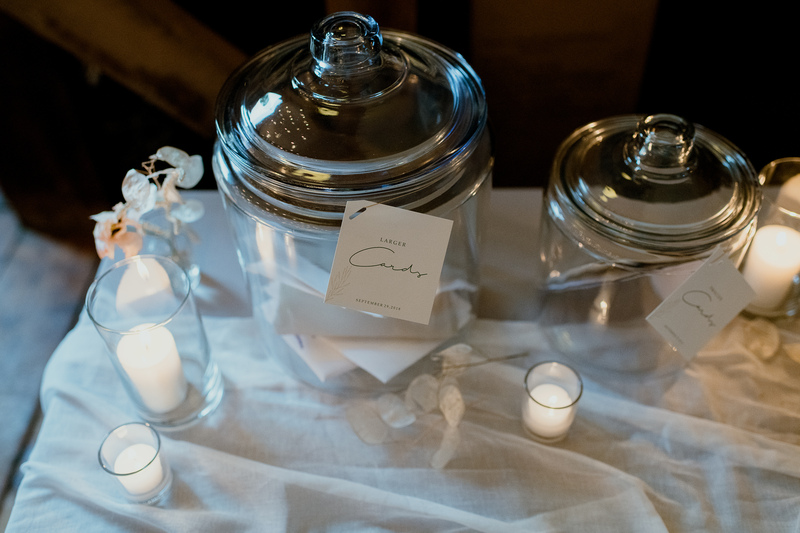 We had glass jars on the welcome table where guests could leave cards, and used the 3.25 x 3.25" prints to specify their use. We purchased small gold string and tied the prints around the base of the jars — easy! We also used the 5 x 7" sized prints for our table numbers, which was so simple and timeless, just what we were going for. We purchased gold card stands on Etsy to pair with the prints, which was the perfect finishing touch. 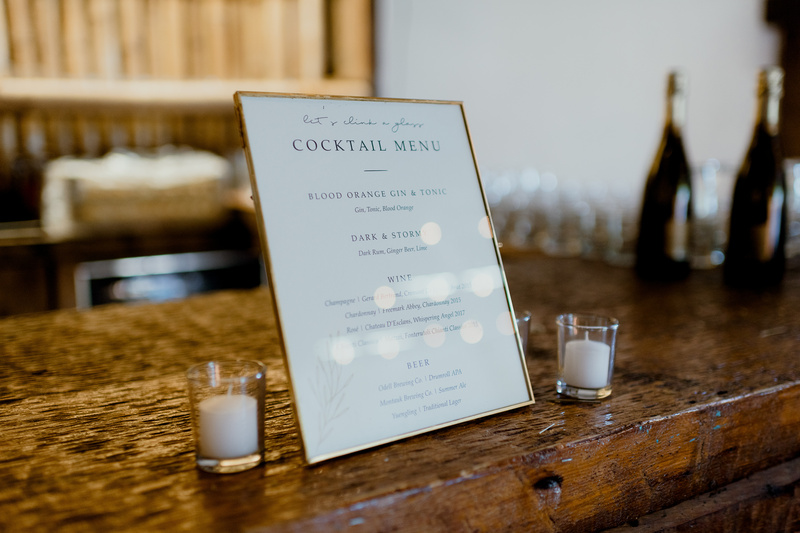 To display signage like our cocktail and dessert menus, we opted for the Ultra-Thick Signature Prints. They are super sturdy and the matte paper really fit our aesthetic. We then secured the prints inside simple brass frames for an understated look. As we wanted to use our own fonts for all of our displays, we designed the signage using Keynote (it’s free on all Apple computers! ), and then saved each file as a .jpg and uploaded the images directly into the Artifact Uprising editor. 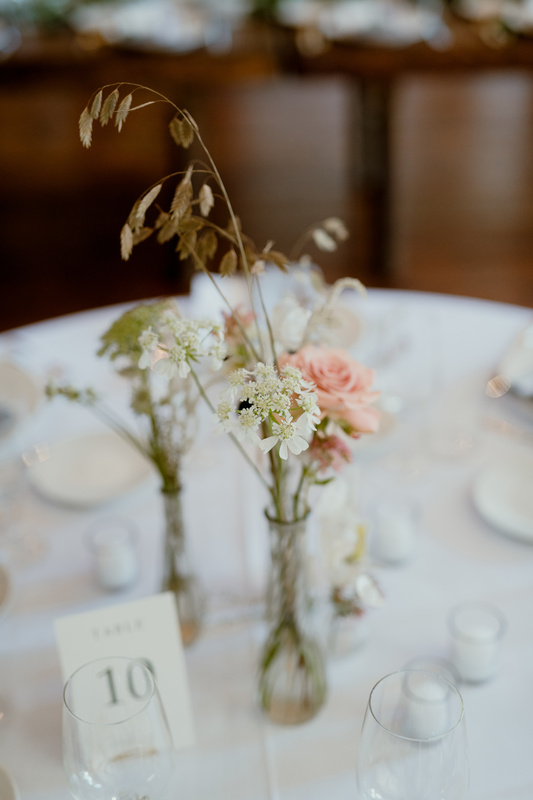 For our seating assignments at the reception, we used Square Prints in the smallest size, 3.25 x 3.25". They were the perfect size to fit our guests’ names, and we loved the square orientation, as opposed to more traditional tented cards. As with all of Artifact Uprising’s papers, the textured finish has a really elevated feel to it — they offer something unique compared to other options on the market. After they were printed, we used a hole puncher and strung through silk ribbon for an added pop of color and texture. 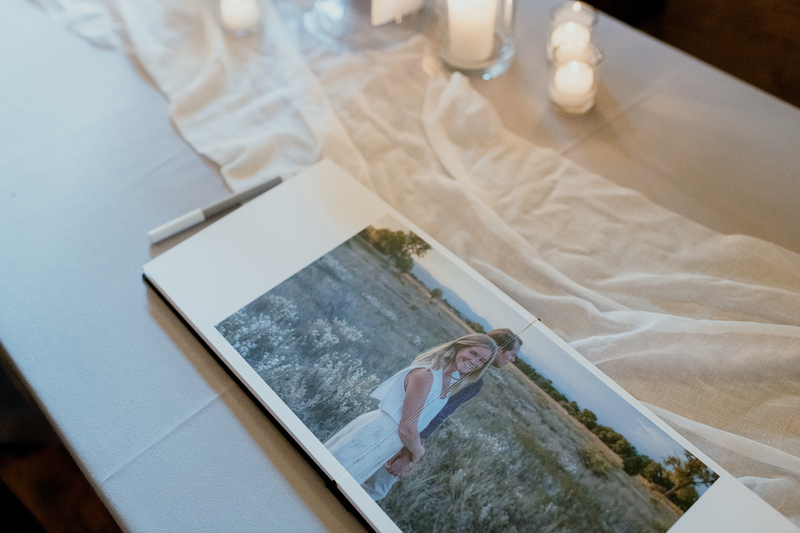 I knew that a Wedding Guest Book was an item many brides accidentally leave until the final hour, so we created our guest book about a month before the big day. I remember the day we received it in the mail and how excited it made us for our wedding ahead. From the fabric cover to the custom foil stamping, we couldn’t wait for your friends and family to flip through it. We kept with our color palette and choose their Midnight Blue fabric color, paired with gold foil. 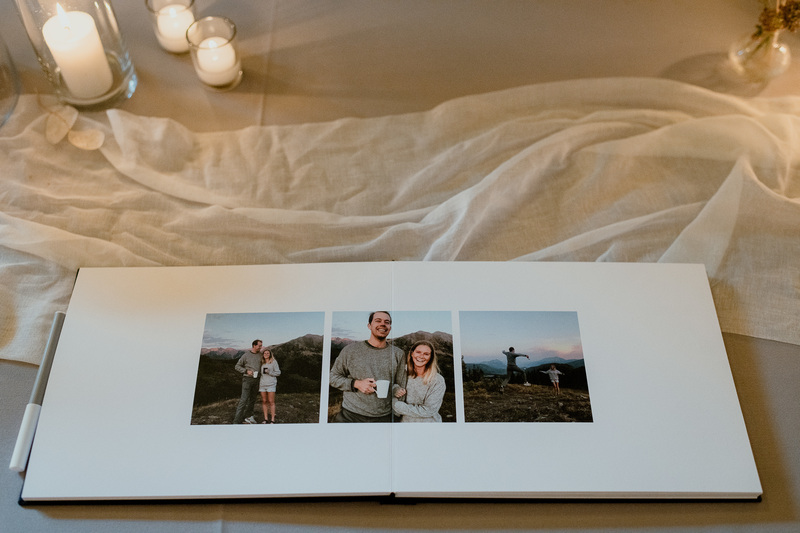 When it came to choosing the photos, we printed a combination of everyday snaps paired with engagement photos a friend had taken for us. 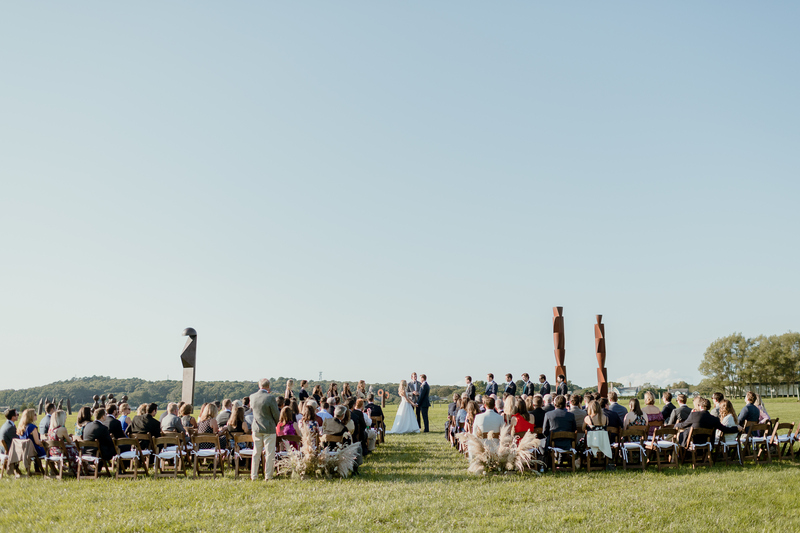 We ended up with about 18 pages, which was perfect for our wedding of 125 guests. 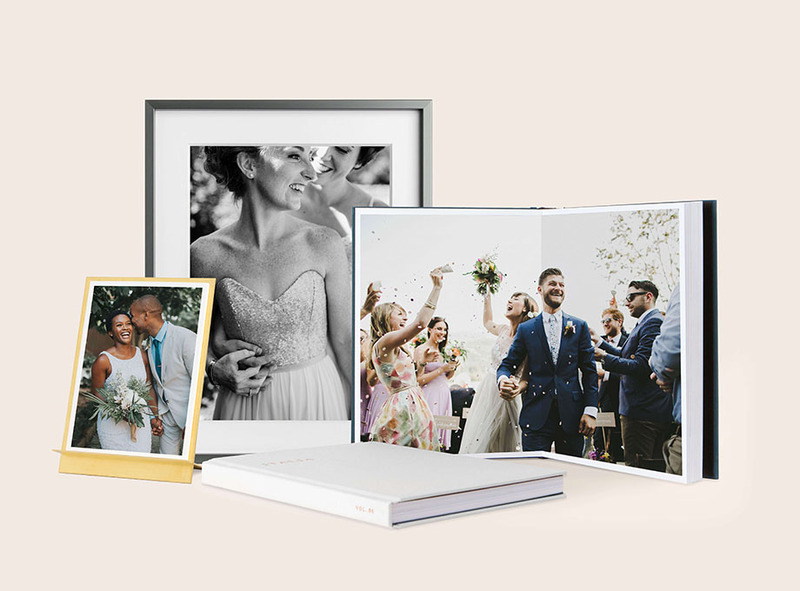 Inspired to get wedding-day ready? 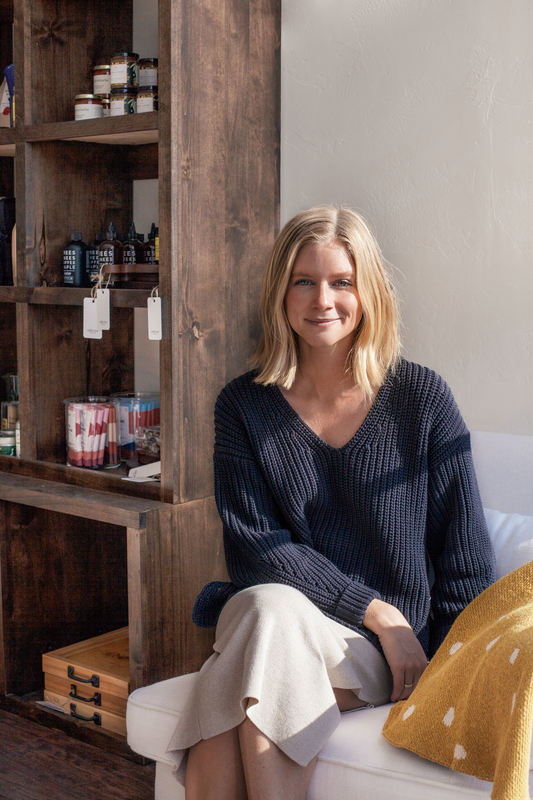 A native New Yorker, Calli Swofford is a freelance writer and the owner of Miller Lane Mercantile, a homewares shop that celebrates simple goods for slow living. She currently resides in Denver with her husband and golden pyrenees, Goose.